I just love reading inspirational quotes. Sometimes words just hit you in a way that really connects with you. I have been searching out and saving up inspirational quotes about many topics and saving them to my Impactful Words Pinterest Board for several years. Today, I thought I would share some of my favorite inspirational family quotes with you. These family bonding quotes will help you remember and be able to verbalize the importance of family time. I have gathered up 7 great inspirational family quotes into one image that you can print or save to Pinterest for save keeping. 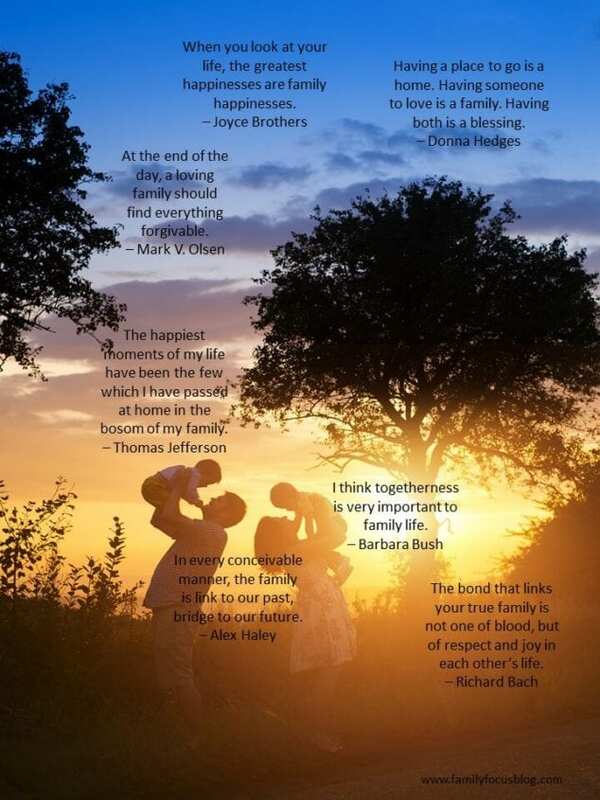 I hope you enjoy these family time quotes as much as I do. I truly believe that nothing is as important of family and making sure that we are there for each other to always be supportive and lend an ear or advice when needed. 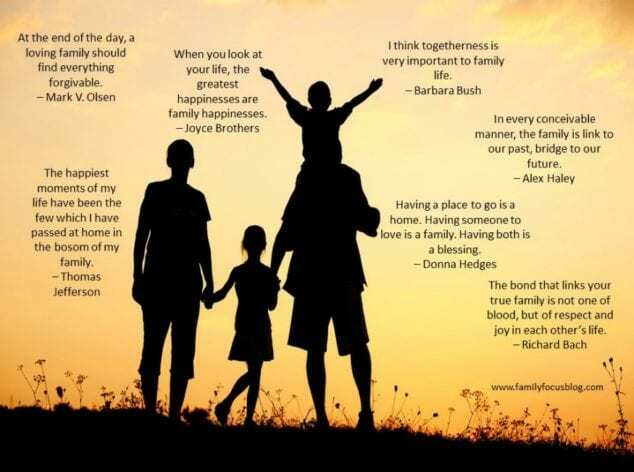 So which ones of these inspirational family quotes were your favorites? Hard to pick right the best one of these family bonding quotes, isn’t it?